Roland R-Wear Studio software comes with all of the necessary tools to design beautiful custom apparel and gifts. The software makes it easy to boost profits by personalizing everything from t-shirts, rhinestone designs, handbags, wine bottles, sunglasses, cell phones and more! The possibilities are endless! 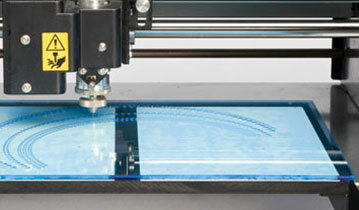 Note: Roland R-Wear Studio is included at no extra charge with EGX-350/360/400/600 engravers! From cell phone holders to eyeglass cases, from team uniforms to that special gift, personalization – especially with rhinestones – is one of today's hottest trends with kids and adults of every age. Roland R-Wear lets you take your gift and apparel business to the new heights by adding personalization and the latest style to all of your products. Roland R-Wear Studio has everything you need to design beautiful custom products. The revolutionary software guides you through the entire process, making it easy to design and produce anything you can imagine. Import your own art or design new graphics, rhinestone patterns, personalized lettering, etc. Let your imagination go wild! 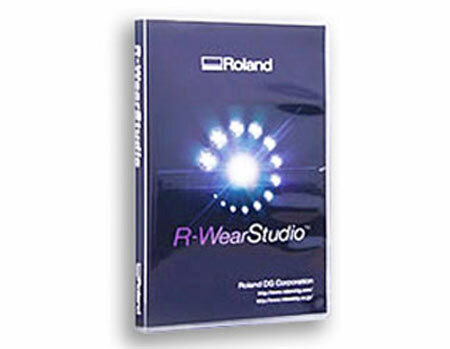 Roland R-Wear Studio is extremely flexible. The design software can output to supported Roland EGX engravers, GX-24 desktop cutter, VersaCAMM printer/cutter, as well as any standard inkjet printer. 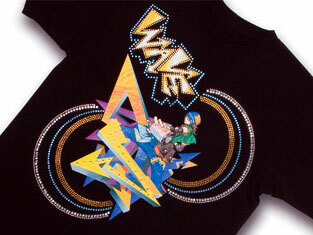 This unprecedented versatility is the key to creating such a wide range of custom gift and apparel products. Applications include gift engraving, rhinestone placement templates, sign engraving, vinyl cutting, contour cut labeling, POS signage and more. Imagine. Design. Create. Sell. It's that simple! Roland R-Wear Studio is extremely flexible. The design software can output to supported Roland EGX engravers, GX-24 desktop cutter, VersaCAMM printer/cutter, as well as any standard inkjet printer. This unprecedented versatility is the key to creating such a wide range of custom gift and apparel products. Applications include gift engraving, rhinestone placement templates, sign engraving, vinyl cutting, contour cut labeling, POS signage and more. Never outsource your rhinestone jobs again! Roland R-Wear Studio works seamlessly with your EGX engraver or GX series cutter to create rhinestone templates for your designs. The software supports a large library of 500 hot-fix rhinestones that match the different colors, sizes and types available on the market. It also displays a job's cost, allowing you to quickly calculate profits and manage rhinestone inventories. Print and contour-cut heat-transfer graphics with a Roland printer/cutter or by pairing any color printer with a Roland GX-24 cutter. Produce a rhinestone template with a Roland EGX engraver or GX series cutter to allow easy placement of stones.